This Ford OEM part # 7C34-13006-A (8C34-13006-A) fits most 2008 thru 2010 F-series Super Duty pickups, F450 models. This is a Ford OEM headlight assy left and right front/driver side headlamp assembly and is in nearly new condition. 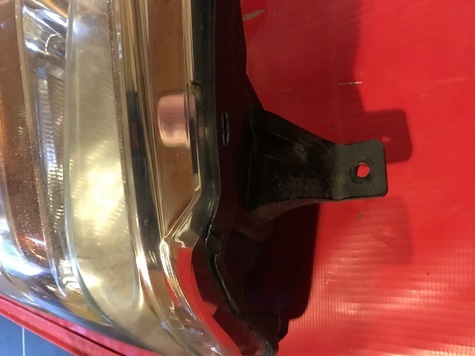 It was removed off a new vehicle for an upgraded headlamp system. All attachment points are 100% in tact. Please make sure this unit suits your needs as I am not set up to handle returns at this time. Please ask any and all questions. These sell for $273.00 new from the Ford dealership Thank you for looking and more for buying! !